Home › Percussion Instruments › Parts & Accessories › Zebra Adjustable ..
-Adjust comfort, practical and convenient, durable. 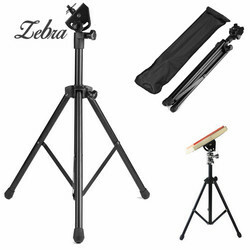 -Stable and solid, you can adjust the height 360 ° according to your needs. -Applicable to all electronic dumb drums, little angels, Mirage, Zhuo Le, Eno and so on.